AES India, a subsidiary of AES Corporation, and Mitsubishi Corporation started the construction of India’s largest energy storage project earlier this year. The 10 MW project will be an inspiration for other utility-scale projects in India. The project is expected to support the network operated by Tata Power Delhi Distribution Limited (Tata Power-DDL), a distribution company in Delhi. The AES project will improve distribution grid reliability for over 7 million customers and will manage the various aspects energy storage for the distribution grid. It will also integrate rooftop solar into the grid. The project is supposed to be of strategic importance for Indian regulators as the country embraces itself for a major National Energy Storage Mission. The country’s target of generating 100 GW of solar power by 2022 would be incomplete with incorporating storage options, as renewable sources of energy like solar are intermittent in nature. The country has huge plans for solar, but its poor grid and transmission infrastructure is still a major hindrance to its solar success. The AES project is a welcome step in this regard. Also, India has been witnessing a surge in cancellations of solar plus storage lately, with the Andaman & Nicobar Islands is the latest one. Two solar storage projects at two different solar parks in Karnataka and Andhra Pradesh have been canceled so far. NTPC also canceled a 50 MW solar-storage project tender planned in Andaman & Nicobar Islands. 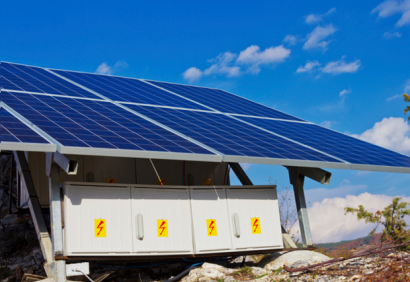 Cost of solar plus storage is double that of a normal solar project in India. Financial viability is a major concern for such projects as developers bid for lower tariffs. It is imperative for the government to find a solution to the existing problem. Storage-equipped solar power plants are the only way to integrate large-scale solar and wind energy projects for the overall success of a dedicated grid and implementation of renewable energy projects in India. In fact, SECI has invited bids for another storage-equipped solar and wind hybrid project in Andhra Pradesh to test the waters.